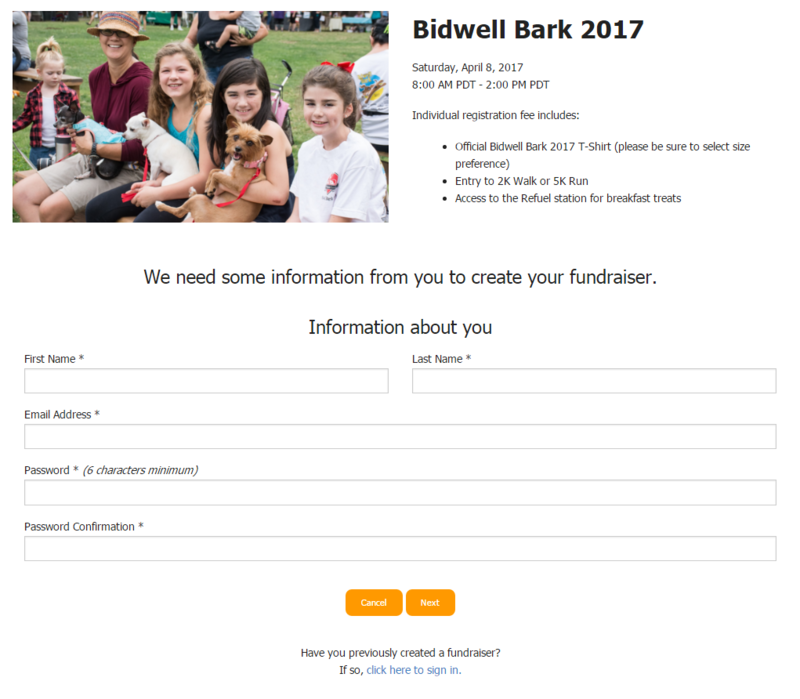 Follow this ‘How-to’ guide to register for Bidwell Bark as an individual, to join a team, or to create your own team! 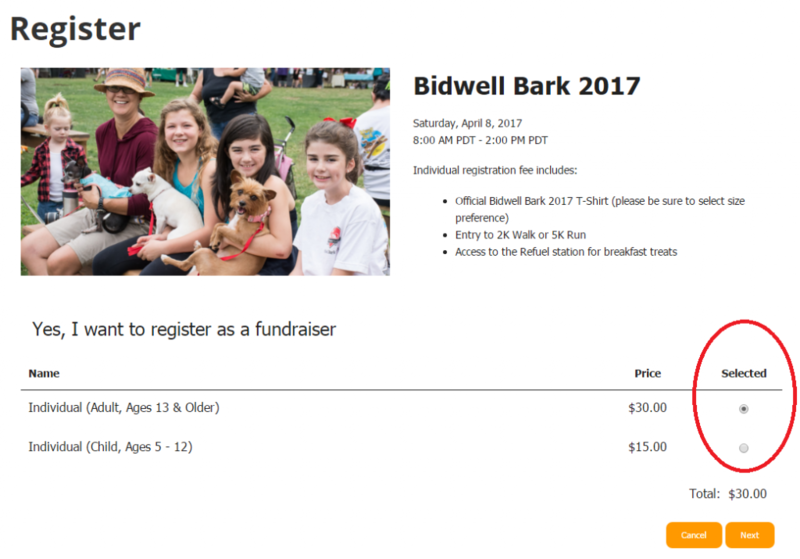 Go to the Registration page: www.BidwellBark.com/register. Click on the orange ‘Register’ button. 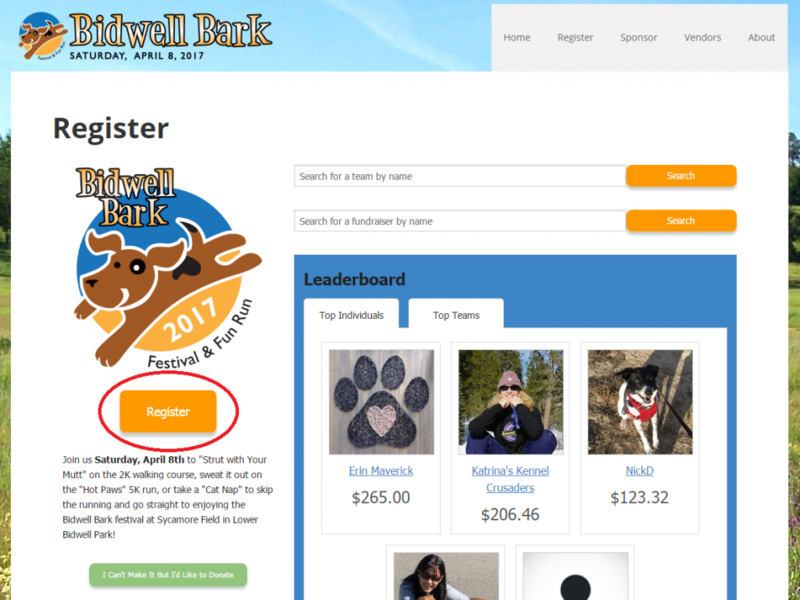 Select ‘Adult’ or ‘Child’ from the registration list, then click NEXT. Create your account by connecting your Facebook (blue button) or by using your email address (orange button). If you are creating an account using an email address, fill in your name, email address, and create a password, then click NEXT. 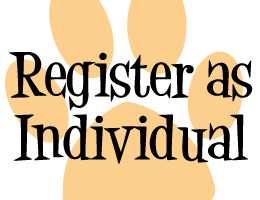 PLEASE NOTE: You must use a separate email address for every individual you are registering. 5K run & 2K walk starts at 8:30 a.m. If you are fundraising as an individual and DO NOT want to be on a team, select NO. If you want to JOIN A TEAM, select YES. Choose the team you want to join from the dropdown menu. If you want to CREATE A TEAM, select YES. Enter your team name in the space provided. Fill in your credit card payment information. 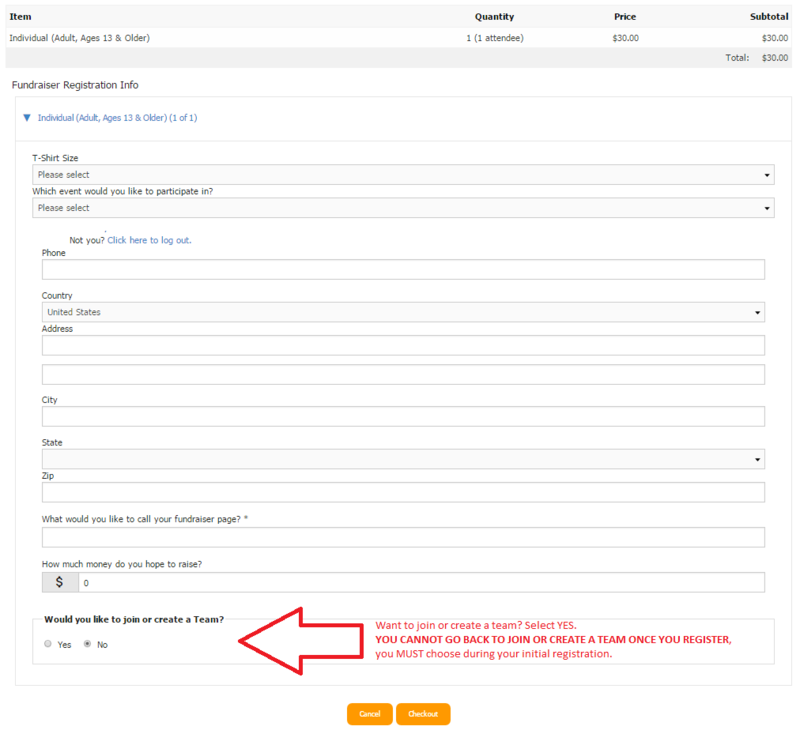 REQUIRED: You must read and accept the waiver at the bottom of the payment form before finalizing registration. 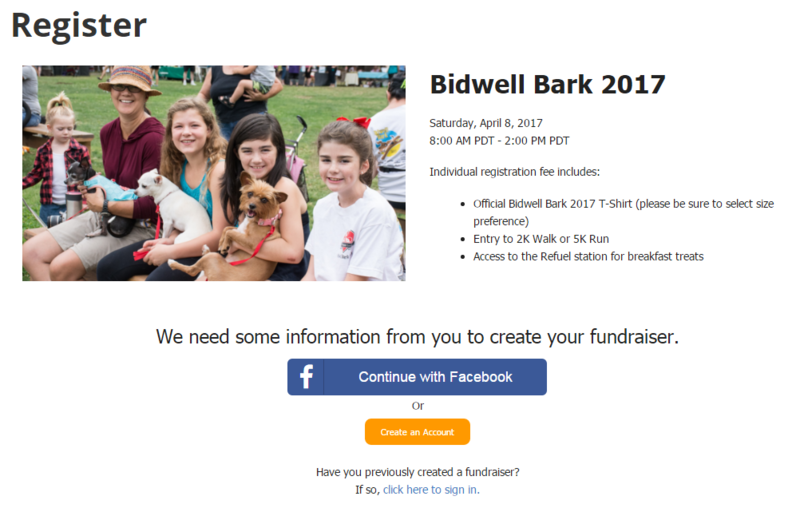 Once registered, you will receive a confirmation email with instructions of how to customize your fundraising page(s) and how to share your efforts via email or social media with friends and family so they can donate to the cause too! samanthajones@buttehumane.org or 530.343.7917 x 134.